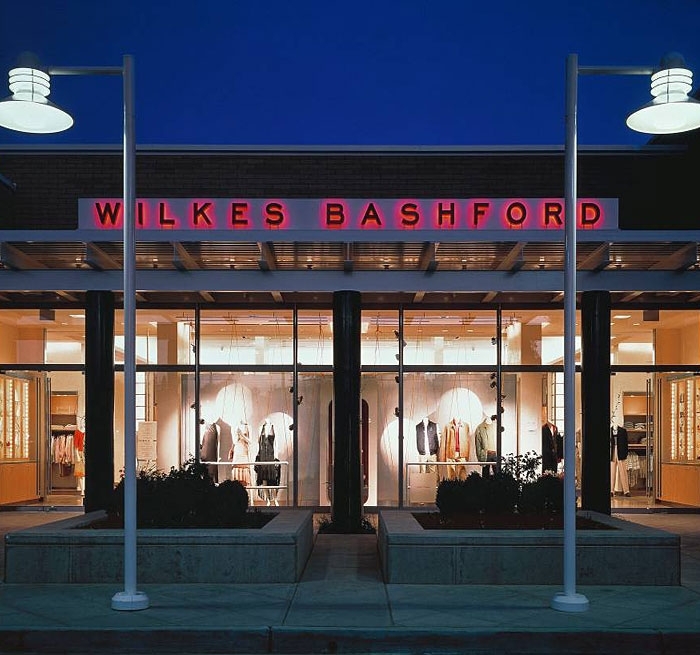 Located in the high-end Stanford Shopping Center, Wilkes Bashford is a retailer of premium men and women’s clothing. 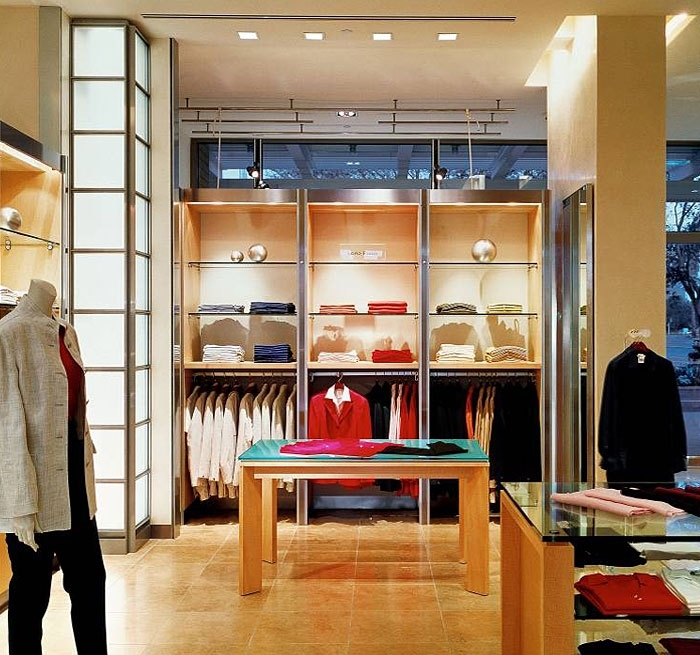 Auerbach Glasow provided architectural lighting design for the interior and exterior of their Silicon Valley store. The shopper’s first experience is the open central zone surrounded by a rear illuminated clerestory. This glowing center forms the core of the store and includes custom millwork counters, cash wrap and display. Flanking the core are glowing and internally illuminated columns that feature a state-of-the-art light transport film that allows the twelve-foot features to be lit evenly.. 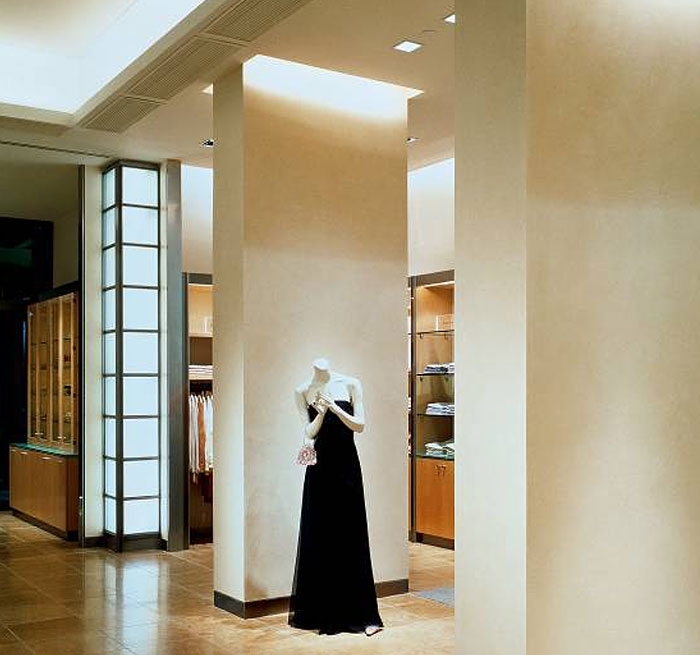 Accent lighting for the merchandise is achieved through recessed adjustable fixtures in the ceiling and low voltage systems built into the millwork. 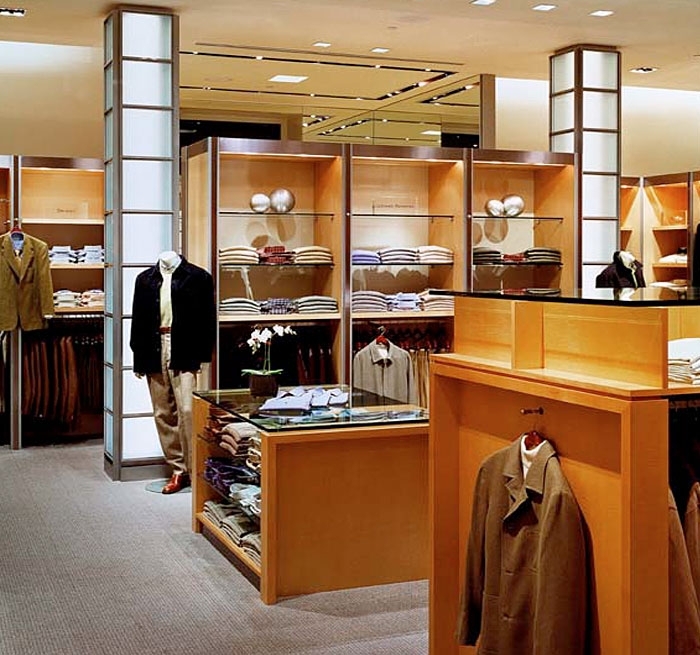 The entire store is centrally dimmed and automatically modifies the look and feel based upon time of day. The rich nature of the millwork and meticulously integrated details speak clearly to the clientele that are sought for this elegant retailer.